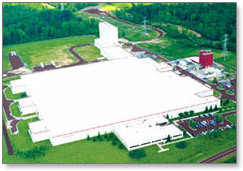 Firestone Fibers & Textiles Company, LLC is headquartered in Kings Mountain, North Carolina, USA. 25 miles west of Charlotte, North Carolina. of our fibers and fabrics. Mountain and Gastonia, North Carolina, USA, and Woodstock, Ontario, Canada. and are backed by responsive sales and technical support for problem solving and applications assistance. Europe, Japan, Australia, and New Zealand.